The Golden State Warriors most likely entered last night’s game at Denver expecting a comfortable win. 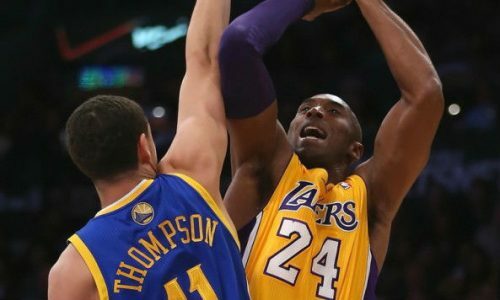 Instead they left the Rocky Mountains both exhausted and winless, and that sets up a good spot to back the Los Angeles Lakers tonight. The Lakers are off a 95-91 win against New Orleans Tuesday and they’re 5-2 ATS in their last seven games playing on one days rest and 4-1 ATS in their last five road games. Kobe Bryant is rated as questionable, but the Lakers usually find ways to cope without him and Lou Williams is averaging 25.3 points in four games since a 109-88 loss to the Warriors earlier this month. We should also keep in mind that the Warriors will take every opportunity they can to rest starters, Steph Curry first and foremost. Even if the Lakers will fail to keep it a close game they’ll have an excellent chance to backdoor cover.